Edgar Wright‘s upcoming horror film has found its lead. New reports say that Glass star Anya Taylor-Joy will be starring in Wright’s upcoming film, which is said to draw inspiration from films like Don’t Look Now and Roman Polanski’s Repulsion. Additionally, the film is said to be going by the working title Last Nigh in Soho. More on the report below. M. Night Shyamalan is not one for traditional storytelling. So when he inserted that twist in Split, it showed that the world of Unbreakable was much bigger than we originally thought. That’s because it was revealed that Split took place in the same universe as Unbreakable, and the story would continue on with Glass. Now Universal has released the newest trailer for Glass starring Samuel L. Jackson, James McAvoy, and Bruce Willis in a film that could change the superhero genre as we know it. Check it out below. The one X-Men film that seems to have fallen by the wayside is The New Mutants, a spinoff that centers on a different group of mutants who are forced to come to grips with their mutant powers while being held in a secret government facility. The film was supposed to hit theaters earlier this year before being pushed back to February 2019 and then to August 2019. The reasons for those new dates was to give director Josh Boone some extra time for reshoots. However, to push back the film almost two years after the film was originally scheduled to be released seems strange. And to say that the reason for that push was to get some reshoots in seems even odder. But that appears to be the case. The reshoots are pushing the film’s release date to August of next year. But not because the reshoots are happening now. It’s because the reshoots haven’t happened yet. More on the report below. “First name, Mister. 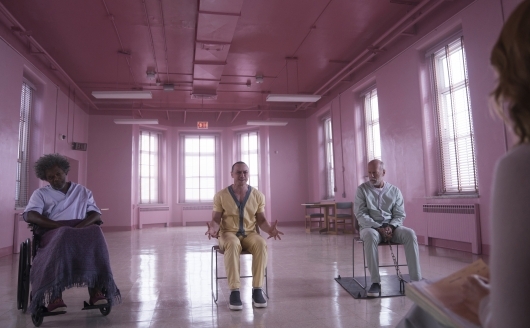 Last name, Glass.” Universal Pictures has released the first trailer for M. Night Shyamalan‘s Glass, the follow-up to 2000’s Unbreakable, from Touchstone, and 2016’s Split, from Universal. The sequel unites the two comic book films, from two distributing companies, for one explosive all-new comic-book thriller. Check out the trailer below. 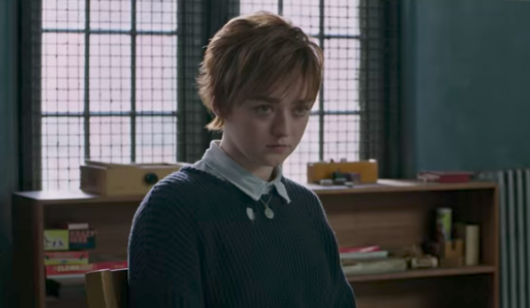 It’s not enough that The New Mutants got pushed back to a later date, again. 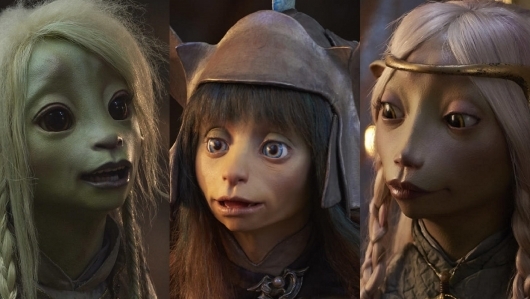 But there are reports that that 50 percent of the film will have to be reshot. While reshoots are just a part of the filmmaking process, it doesn’t bode well when half of the film has to be done over again. However, there is a good reason why Fox wants these reshoots. It appears that The New Mutants is not scary enough for them. There are also reports that the film already had Jon Hamm cast as Mr. Sinister. The keyword being “had,” as plans for that have apparently been scrapped. But it looks like they have already settled on a replacement. More on the reshoots and the new villain here below. 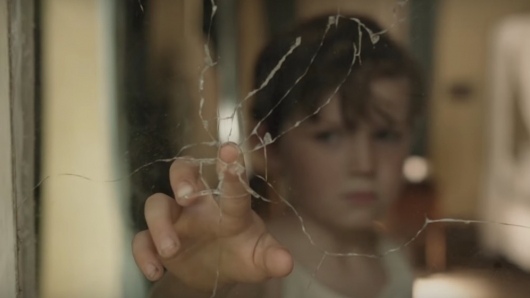 Magnet Releasing has released an official trailer for Marrowbone, a horror thriller from writer and director Sergio G. Sánchez, who previously penned the screenplays for The Orphanage and The Impossible (both helmed by the director of A Monster Calls and the upcoming Jurassic World: Fallen Kingdom, J.A. Bayona) and is making his feature debut here. The movie follows a group of siblings who keep their mother’s death a secret in order to stay together, and take shelter in an old house they soon discover already has something residing there. You can read an official description of Marrowbone and check out the trailer along with a poster below. 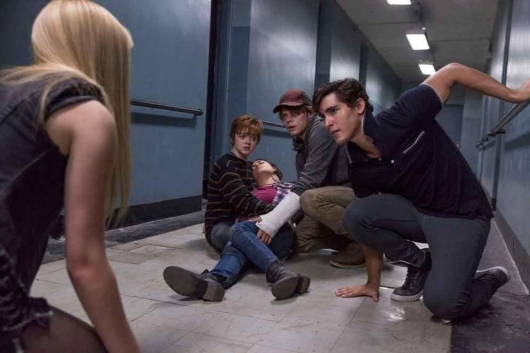 20th Century Fox has released the first frightful trailer for Josh Boone‘s The New Mutants. The film is an extension of the X-Men film universe and will center on a group of young mutants’ held in a secret facility fight to save themselves. The timing of the release seems very appropriate since it has been confirmed that New Mutants will be a horror film. So get those blankets ready to hide under because you are going to need it. Focus Features has released a red band teaser trailer for Thoroughbreds, which stars Anya Taylor-Joy (The Witch, Split), Olivia Cooke (Me and Earl and the Dying Girl, Bates Motel), Anton Yelchin (Star Trek, Green Room). The movie follows two childhood friends who reconnect as teenagers and end up bringing out each other’s destructive tendencies. You can check out an official synopsis for the movie, the teaser trailer, and a poster below. 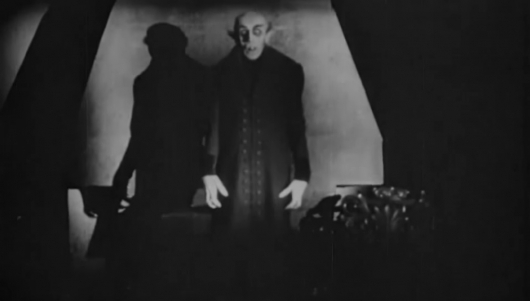 We found out a couple of years back that The Witch director Robert Eggers was set to take on a remake of the 1922 silent classic Nosferatu. Now it’s been announced that Eggers’ breakout star from The Witch, Anya Taylor-Joy, is in negotiations to reunite with him for the remake.